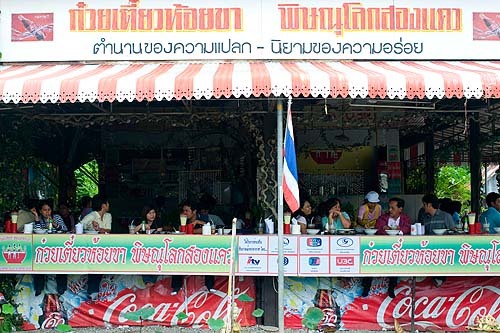 Paa Pong, the restaurant above, is in Lampang and is only open Saturday and Sunday. 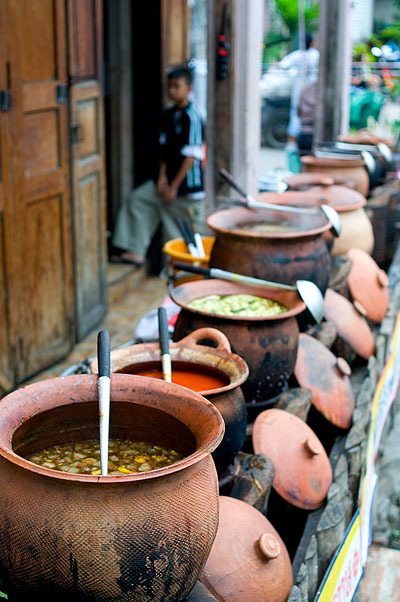 You can easily identify the shop by the long row of bubbling curries, which are served over the fresh rice noodles. 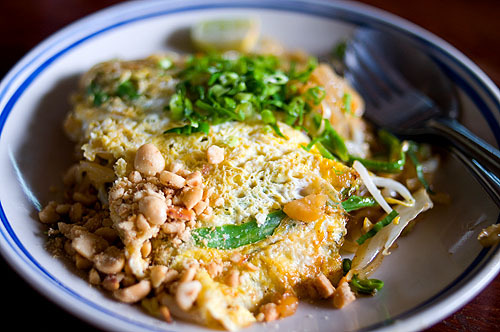 But there are also some relatively unknown noodle dishes up north. The bowl at the top of this post is from Kamphaeng Phet. They make their own bamee, wheat noodles at this restaurant, which were slightly thinner and firmer than those elsewhere. 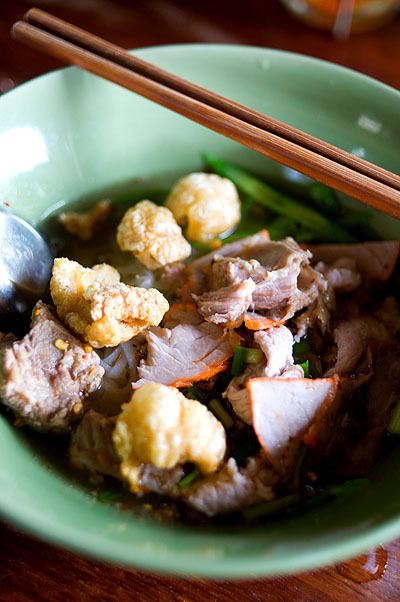 The dish combines several types of pork and is served with par-boiled sliced green beans and bean sprouts on the side. 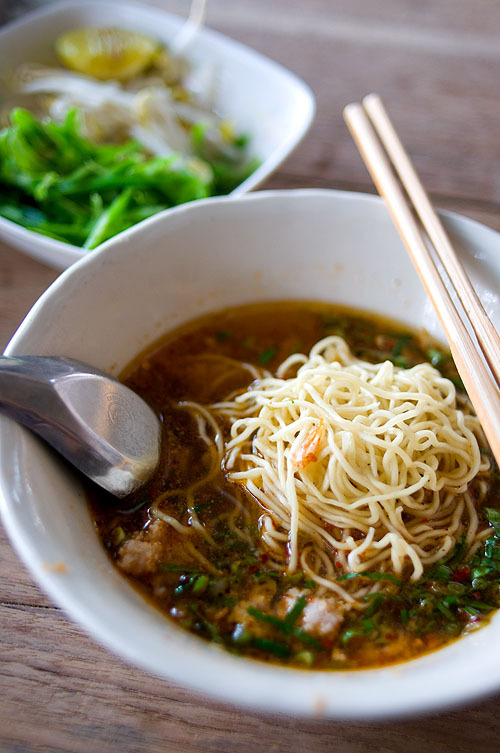 The 'dry' (served without broth) version was excellent, and included just enough oily broth to moisten the noodles. as well a slightly sweet broth with more par-boiled sliced green beans and ground peanuts. 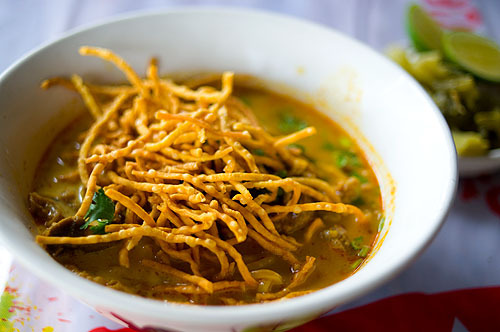 Sukhothai noodles are usually, but not always, served with rice, rather than wheat noodles.